Having gone to a lot of weddings in recent years, there is one thing that always sticks out to me... the personal details! 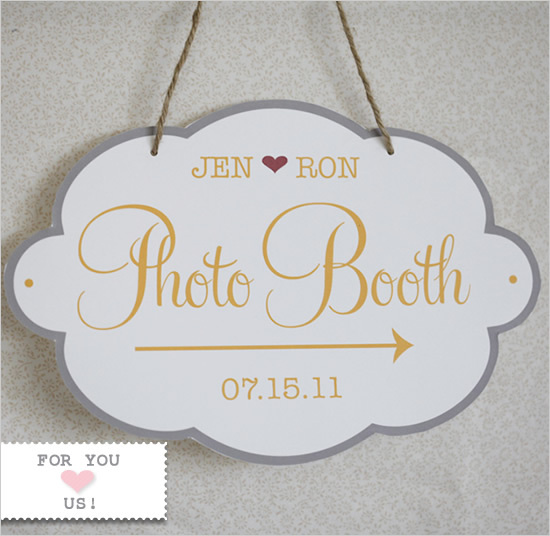 And one of the most adorable and tasteful way you can get personal with your wedding is by using signs! I happen to like a more vintage/DIY look when it comes to pretty & personal signs. Check out some of my inspiration! 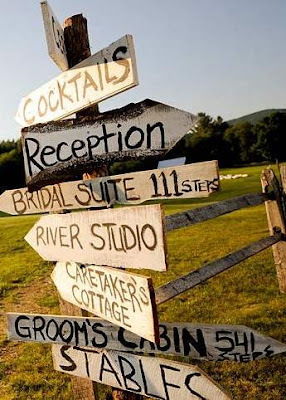 My favorites signs were hand crafted by my friend Jessica Haro at her gorgeous Sonoma wedding last year. (I've given her many a shout out on this blog, because, well, she's pretty fabulous at designing a wedding.) I loved walking up to the ceremony site and reading these heart-felt signs on the way... it made me feel so connected to how excited she and Mike were to say "I do!" Here are some other sign ideas that I may use- with my yellow & grey mid-century motif, of course! 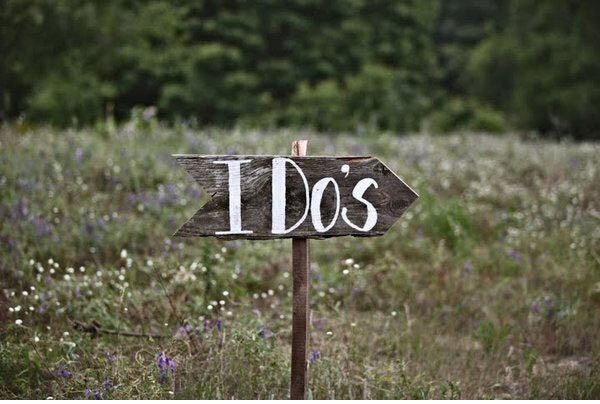 Will you be adding signs to your wedding decor? If so, what's your style? What are you envisioning? Any tips on how to easily create something ala DIY? Please share!! Oh, and a side note: as far as my planning goes, I got A LOT accomplished this weekend! DJ & officiant- CHECK!! !